Raptivity Presenter helps you create meaningful and expressive interactivity rapidly and add it conveniently to your PowerPoint presentations. Using interactivity, you can engage your audience through active participation. Raptivity Presenter allows easy customization of interactivity without programming. The interactivity is output as a single Flash file, which can be easily embedded in PowerPoint. 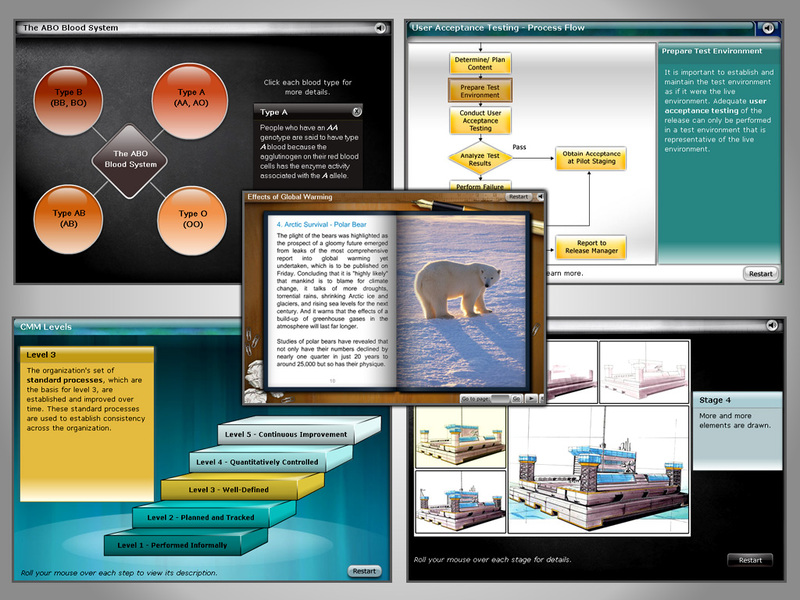 ...... Raptivity Presenter also helps you render complex information in a simple story-telling way. You can also dynamically change the flow and content of your presentation to suit your audience requirements. It can convert PowerPoint to all video format. Qweas is providing links to Raptivity Presenter 1.0 as a courtesy, and makes no representations regarding Raptivity Presenter or any other applications or any information related thereto. Any questions, complaints or claims regarding this application Raptivity Presenter 1.0 must be directed to the appropriate software vendor. You may click the publisher link of Raptivity Presenter on the top of this page to get more details about the vendor.